Construction spending remained in negative territory for September according to the Commerce Department. The month-to-month reading decreased by 0.40 percent against the expected reading of +0.40 percent and August’s reading of -0.50 percent. Approaching winter weather is a likely reason for less spending, but ongoing challenges with shortages of buildable lots and labor are also factors. Spending on residential construction rose 0.50 percent, which is good news in terms of a persistent shortage of available homes. The Federal Open Market Committee of the Federal Reserve announced that it would hold federal interest rates in the target range of 0.25 percent to 0.50 percent. Analysts have been monitoring Fed policymaker pronouncements in anticipation of a rate increase. With strengthening labor markets and other economic indicators, policy makers hinted at raising the Fed target rate in December. ADP payrolls showed that only private-sector jobs 147,000 jobs were created in October as compared to September’s reading of 202,000 jobs created. The Labor Department reported 161,000 government and private-sector jobs were added in October as compared to an expected reading of 175,000 jobs added and September’s reading of 191,000 jobs created. Healthcare, professional jobs and financial sector jobs showed the highest job gains. National Unemployment met expectations with an October reading of 4.90 percent. September’s reading was 5.00 percent Unemployment readings are reported as a percentage of workers seeking work and do not include workers who’ve left the workforce. New jobless claims rose last week to 265,000 as compared to expectations for 258,000 new jobless claims and the prior week’s reading of 258,000 new jobless claims. Freddie Mac reported higher average mortgage rates last week. 30-year fixed rate loans had an average rate of 3.54 percent, an increase of seven basis points. The average rate for a 15-year fixed rate mortgage rose six basis points to 2.84 percent. The average rate for a 5/1 adjustable rate mortgage was three basis points higher at 2.87 percent. Discount points for fixed rate mortgages averaged 0.50 percent; discount points for 5/1 adjustable rate mortgages held steady at 0.40 percent. 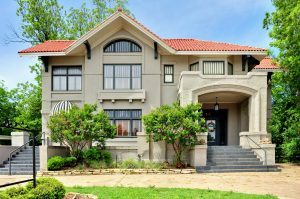 Low mortgage rates have helped to offset the effects of high demand for homes and rapidly rising prices; if mortgage and refinance rates continue to rise, affordability and mortgage qualification issues are likely to arise for some home buyers. 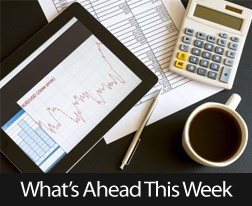 This week’s scheduled economic reports include job openings, consumer sentiment and weekly reports on mortgage rates and new jobless claims.